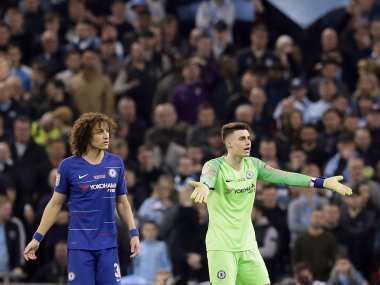 London: Chelsea goalkeeper Kepa Arrizabalaga insisted he has full respect for manager Maurizio Sarri after refusing to be replaced in the final stages of his side's League Cup final loss to Manchester City on penalties. Sarri was visibly furious when Kepa refused to leave the field after needing treatment, but the Italian coach later claimed his anger was the result of a "misunderstanding". "At no time has it been my intention to disobey the coach or any of his decisions," Kepa wrote in a statement issued on his Twitter feed. "I think everything has been misunderstood in the heat of the final part of the match for a title. 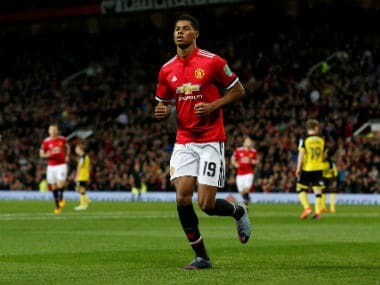 "The coach thought I was not in a position to play and my intention was to express that I was in good condition to continue helping the team, while the docs that had treated me arrived at the bench to give the message. "I feel the image that has been portrayed was not my intention. I have full respect for the coach and his authority." Kepa saved Leroy Sane's penalty in the shootout, but could have done better with Sergio Aguero's effort that slipped under his body as City retained the trophy 4-3 on penalties after a goalless draw. Sarri repeatedly gestured at Kepa to come off, then began to storm down the tunnel in rage before returning to the touchline for the final minutes of extra-time and penalties. However, speaking after the match, Sarri back-tracked as he suggested it was a communication issue that caused the problem. "In that situation there was a big misunderstanding," Sarri said. "I understood there was a problem and we needed a change. I didn't find out until the doctor arrived to the bench after a few minutes. "It was a big misunderstanding. I understood the goalkeeper had cramp and for me he was unable to go to penalties but the problem was not cramp so he was able to go to penalties." The controversy casts a further cloud on Sarri's future with reports prior to the match suggesting he could be sacked if Chelsea failed to beat the English champions. 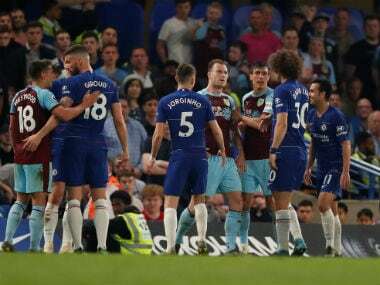 "If I was in the dressing room I would expect the manager to come in and deal with it straight away," said former Chelsea captain John Terry in his role as a TV pundit. There have been several reports that Chelsea's players have lost faith with his methods and Kepa's behaviour only added to that perception. 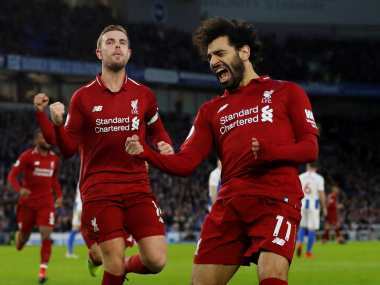 The blues are languishing in sixth in the Premier League, but did put in a far more spirited display than the one that saw them thrashed 6-0 by City just two weeks ago. "After this match I have to say that I'm sure (I have the backing of the players) because they played exactly how I asked today and I am proud of my players," insisted Sarri. "We showed to everyone we could become a very solid team. Against Manchester City is not easy so I am really very happy with my players, proud of my players."